Are you a current grade 9, 10, 11, 12, or a university student (and is going to be at least 15 years of age by December 31st, 2019) interested in volunteering with kids this school year? Are you passionate about sharing STEM in a hands-on learning environment? Come join us as we share the wonder of STEM with BC youth! For more information, watch the vlog below for a glimpse into a day in the life of a Junior Instructor, and take a look at the job description here. A minimum of one week (~40 hours) commitment is required for Junior Instructors (JIs), however, you may choose to volunteer as many weeks as you like! Our Junior Instructors support Camp Instructors running programs for grades 1-9. 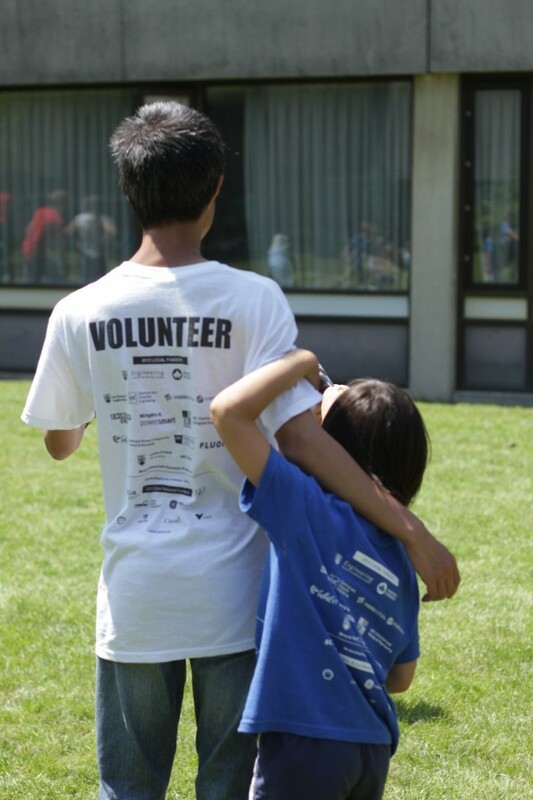 If you wish to volunteer at the UBC Vancouver Campus, Vancouver School Board Schools, White Rock, North Delta, North Vancouver, or Ladner, please apply here. If you wish to volunteer at the UBC Okanagan Campus, please apply here. The deadline to apply is Friday, April 26th at 11:59 PM. You will hear back from us about the status of your application by Tuesday, April 30th. Our Clubs run on weekday afternoons (at VSB schools and VPL branches), Saturday mornings (on UBC Campus), and on weekday afternoons in Kelowna. A minimum commitment of one season of clubs (at least 7 sessions) is required for Junior Instructors (JIs) - however you may choose to volunteer for as many seasons you would like! Our Junior Instructors support Clubs Instructors running programs for grades 1-12. Being a JI is an engaging, rewarding, and fun volunteer position. Our applications for clubs JIs are now closed. Sign up for the Junior Instructor Mailing List 2019 to know when our future club or camps applications open up. Are you interested in having Geering Up visit your school to share the volunteering opportunities that we offer to high school students? Email volunteer@geeringup.ca to request a date and time for us to visit. Example visits include speaking in a classroom or having a booth at a volunteer fair. Sign up for our volunteer mailing list to be the first to hear more about upcoming opportunities. If you have any questions, please email volunteer@geeringup.ca for more information!